Inspiration plus! 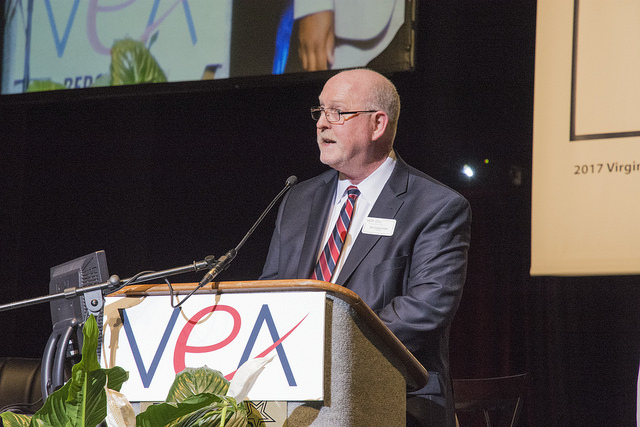 VEA President Jim Livingston got convention delegates rocking with a stirring speech Friday afternoon in Roanoke, telling them, "Together, we're an army! It's time to mobilize ourselves, our schools, our communities, our civic organizations and our houses of worship!" 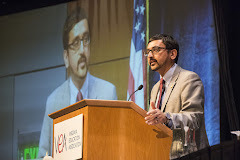 Reminding VEA members that we never get what we don't ask for, Livingston said, "We have to stop apologizing for asking for, even demanding, what our students, schools and educators need. Our communities support us!" said, "because politics is sure involved in you!" He ended with a call to action that had delegates on their feet chanting, "We are VEA!"